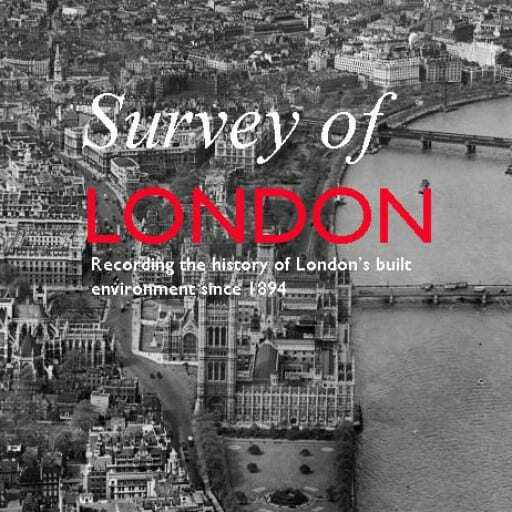 The Survey of London not only records the architectural history and development of each area that we work on, but draws out the character of that area both in the past and as it has become today. 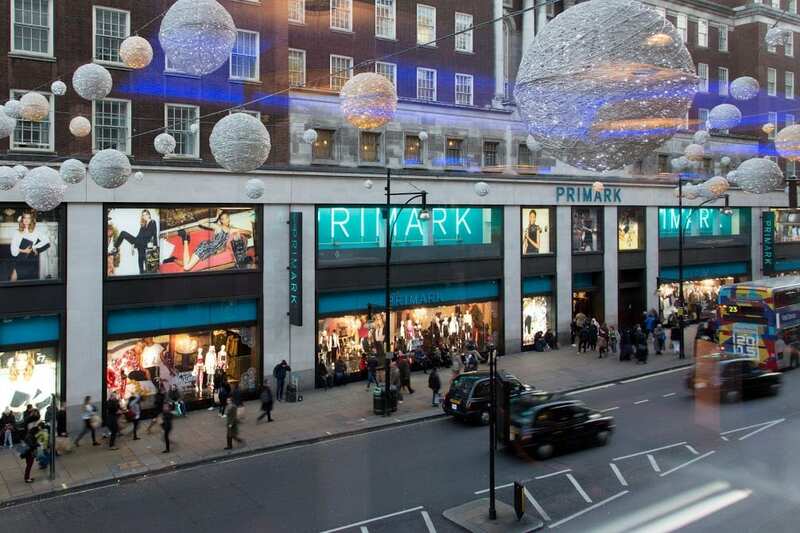 In Oxford Street that character is defined above all by its shops, and Christmas is its busiest time of the year. 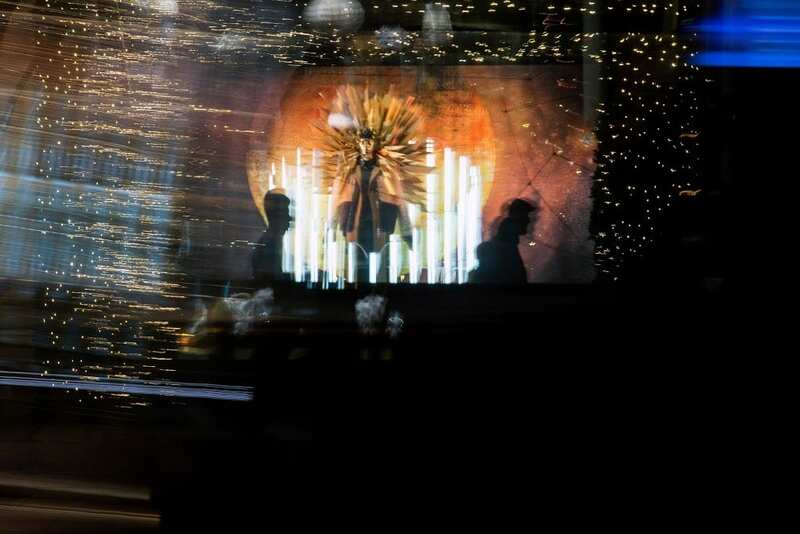 A couple of weeks ago we asked Lucy Millson-Watkins to photograph the lights, sights and decorations of Christmas on Oxford Street in 2015. 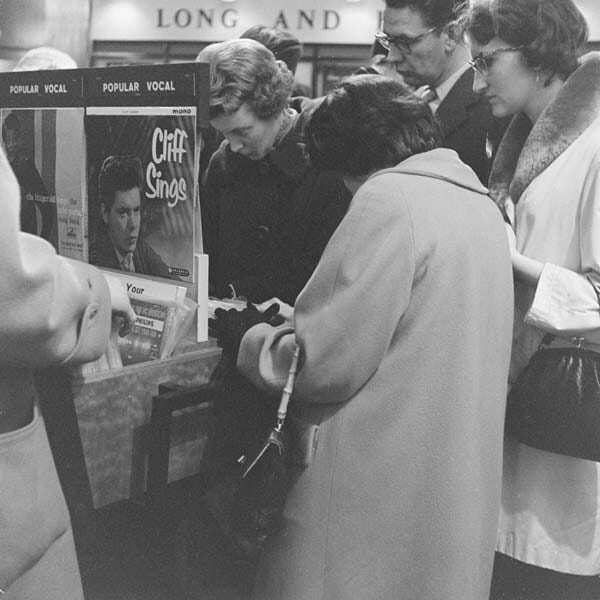 Here follows a selection of the photographs that she took, with a few views from the 1950s on the same theme, showing how much – or how little – things have changed. 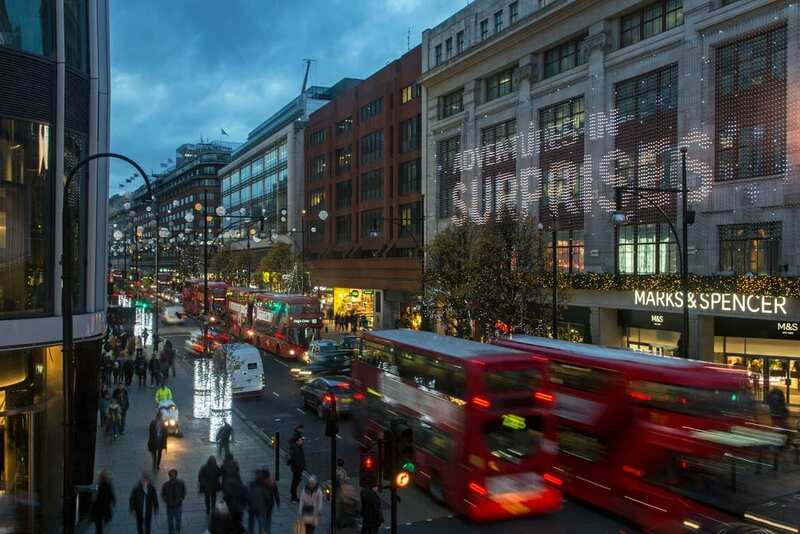 Oxford Street at dusk, looking east. 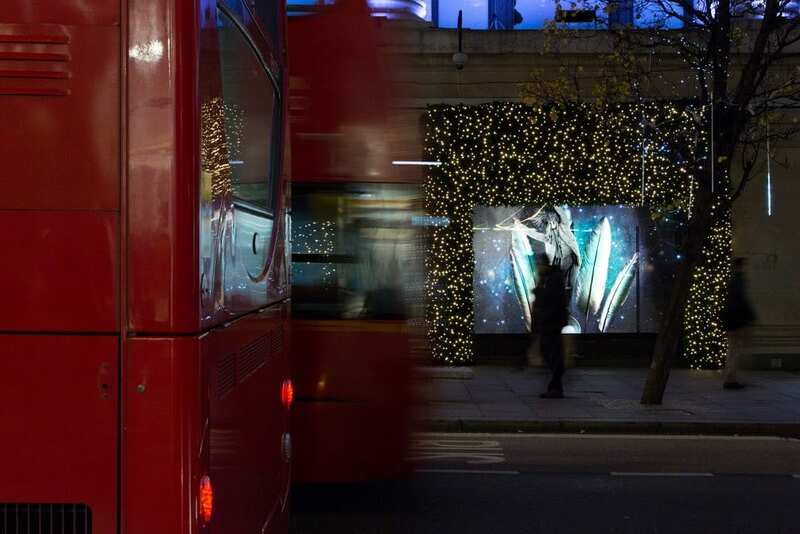 Photographed in December 2015 (© Survey of London, Lucy Millson-Watkins). If you are having trouble viewing images, please click here. 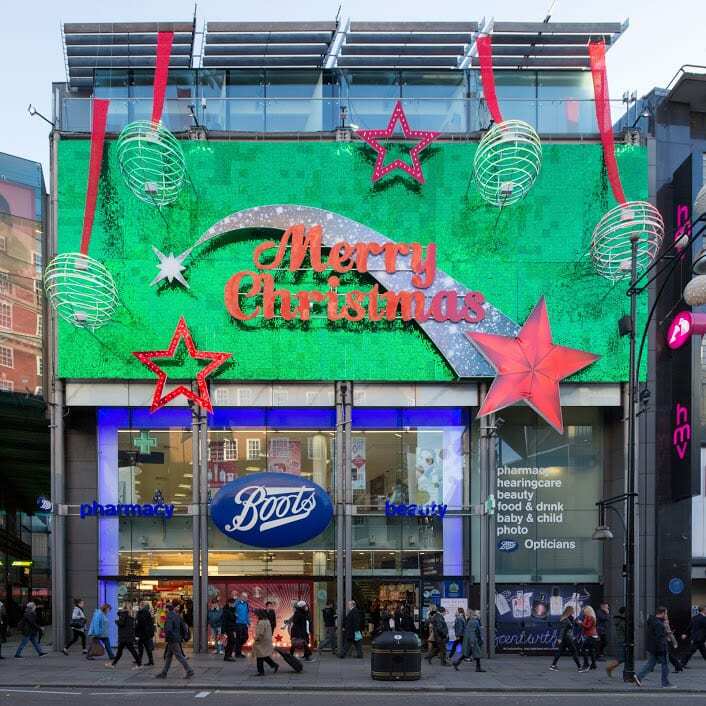 There are grumbles about how early in the year decorations and displays of Christmas gifts appear in the shops, but it seems even that is not new. 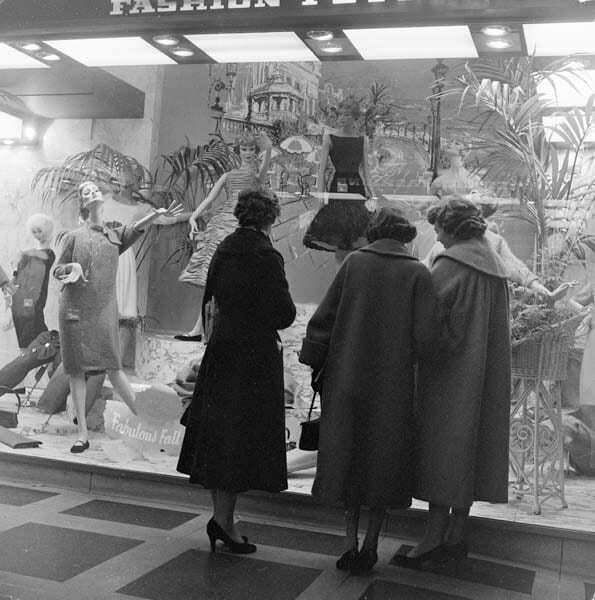 According to The New York Times, in the mid 1920s Christmas shopping was unthinkable in the United States before Thanksgiving, and it was not really until mid-December that ‘the Christmas fever germ begins to “take” in America’. 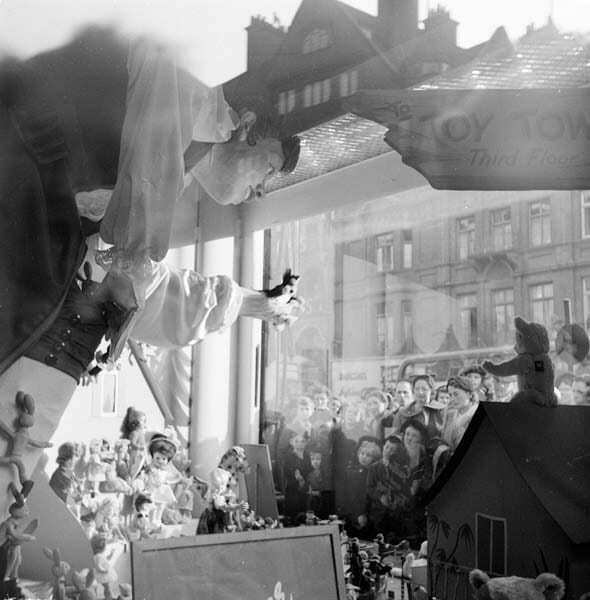 By contrast, in London ‘everything from orchids and knitting needles to vintage wines and bath salts may be purchased on the afternoon of Armistice Day’ and packages for India and the Far East were posted out soon afterwards. Perhaps therein lies a part of the explanation for our unseasonably early habits. 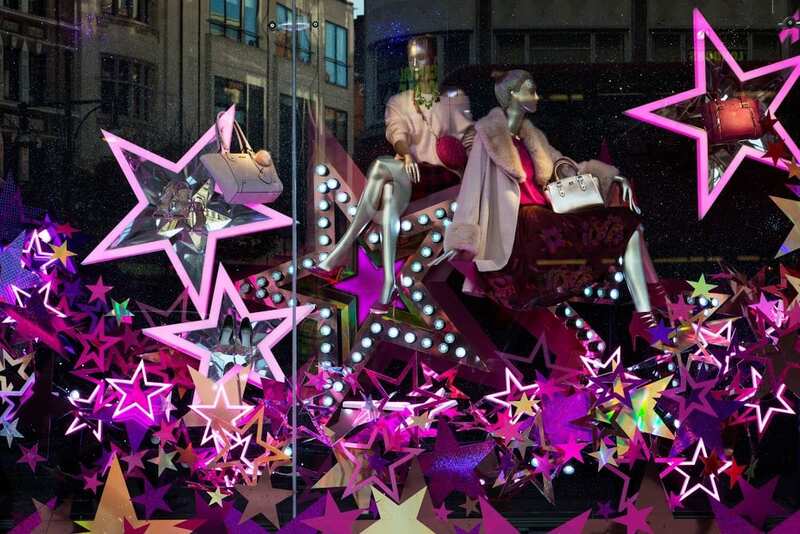 Selfridges window display. Photographed in December 2015 (© Survey of London, Lucy Millson-Watkins). 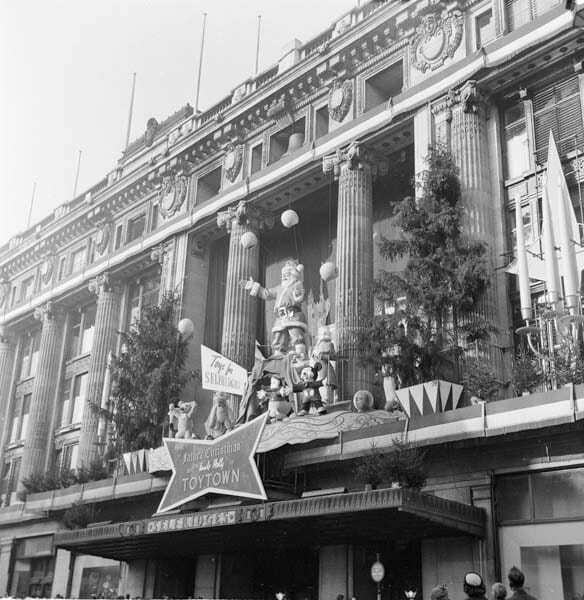 Selfridges’ displays this year are themed on the signs of the zodiac, promoting high fashion and accessories much in the same way as Bourne & Hollingsworth were doing in the 1950s. 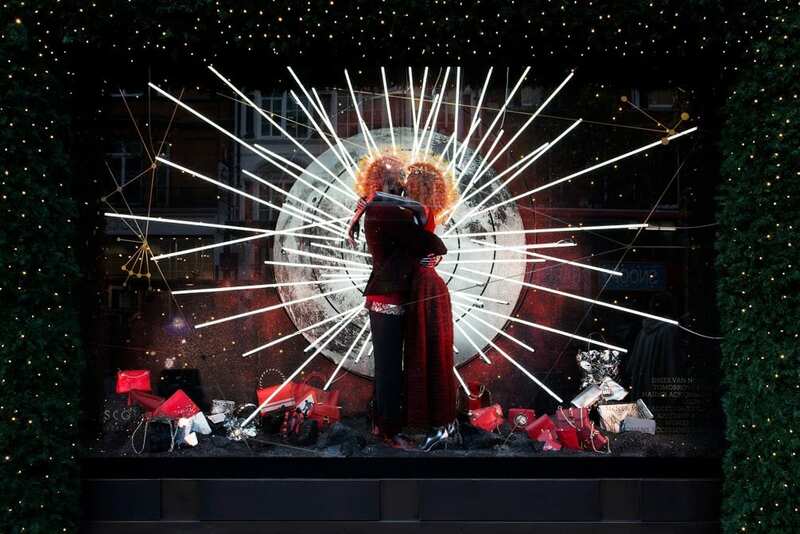 Selfridges window display. Photographed in December 2015 (© Survey of London, Lucy Millson-Watkins). 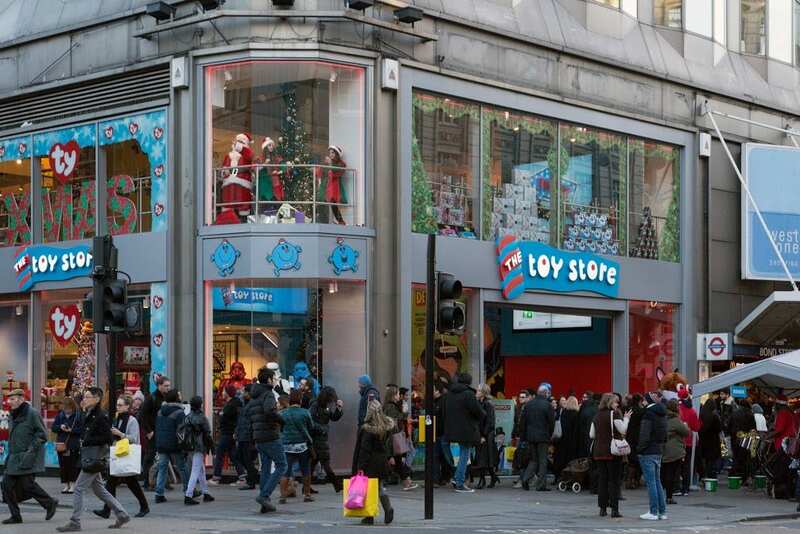 The windows this year are aimed firmly at adults, though in the past they were more likely to be designed to appeal to families and young children. 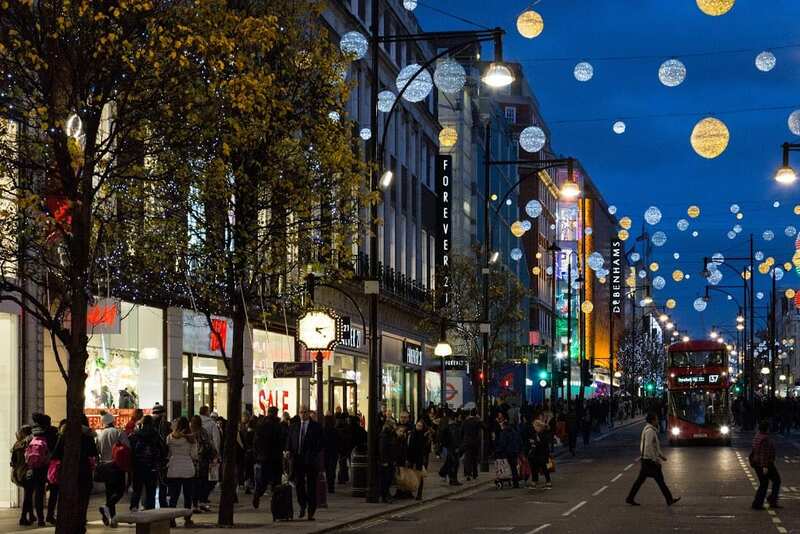 Lights had been put up in Regent Street in 1954, and in the following year some of the Oxford Street stores applied to extend the decorations to include Oxford Circus but Marylebone Council would not allow it because of the possibility, however slight, of an accident. 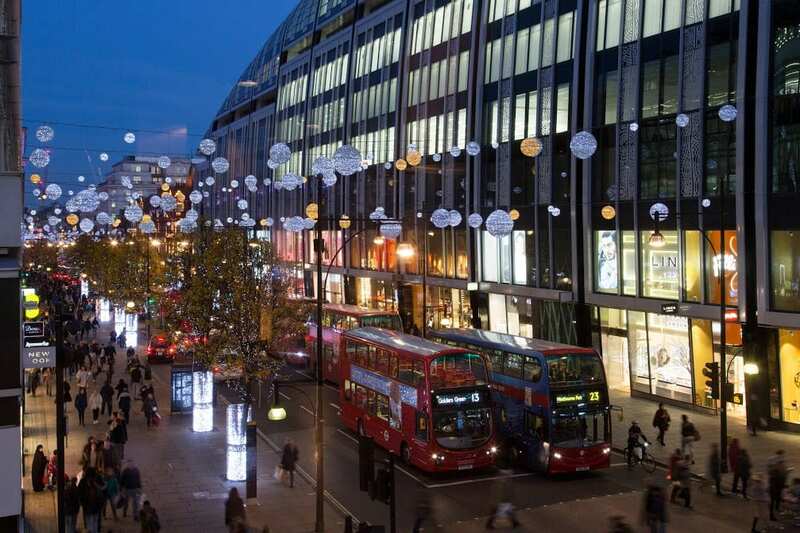 The Council also banned decorations suspended between buildings.